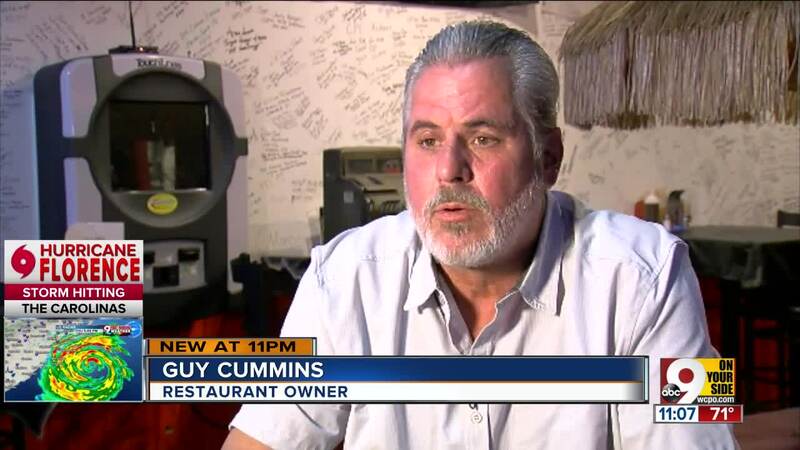 Guy Cummins' restaurant, Smokin' This and That BBQ, will offer a free lunch or dinner to customers passing through Florence, Kentucky, as they seek to create distance between themselves and the hurricane. 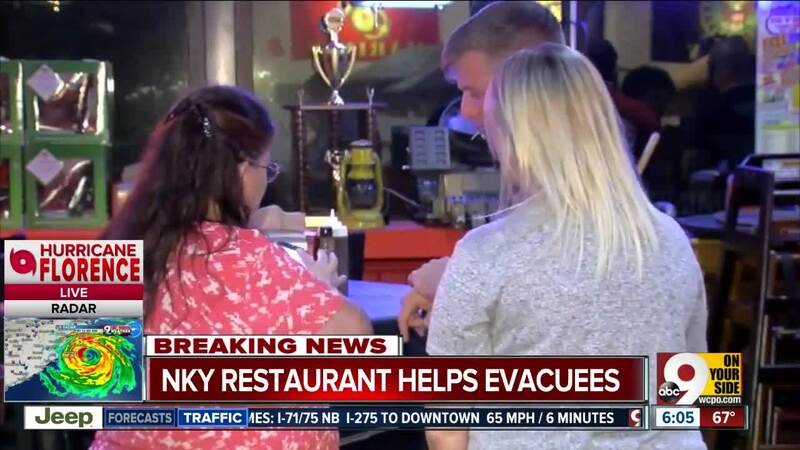 FLORENCE, Ky. -- Restaurant owner Guy Cummins welcomed his son and daughter-in-law back into his home Thursday as Hurricane Florence rumbled toward theirs in coastal Swansboro, North Carolina. The drive took the couple 19 hours. While they were on their way, Cummins noticed other groups of travelers moving from the Carolinas and through Florence to what they hoped would be safer, drier ground. "I was sitting with a friend of mine, and we were talking about it, and we thought it would be cool to feed everybody who was coming this way," he said. So he decided to make it happen. His restaurant, Smokin' This and That BBQ , will offer a free lunch or dinner to customers passing through Florence as they seek to create distance between themselves and the hurricane. "I feel the sadness, and pains, these families are going through," Cummins wrote in a Facebook post . "So let us ease your burden a little by giving you a great meal and a great atmosphere to lighten your hearts a little." Chris Meeks, a Marine stationed at Camp Lejeune, took Cummins up on the offer. His wife, Brittany Meeks, is a former Florence resident who knew she could count on Cummins to honor the promise and serve a mean plate of smoked wings. "Guy's always helping out the community as much as he can," she said. The offer is good for the duration of the hurricane.